With only 13 days left in the school year, things seem to be wrapping up quickly. The end of year flurry of getting my clinic closed up for summer vacation has commenced. The last day of school will be bittersweet for me, because I have decided not to return to my elementary campus next year. With only three classes left before I graduate with my Masters in Healthcare Informatics, I decided the time was right to go ahead and start looking for a new job. I’m optimistic that my unique nursing background along with my Masters degree will make me a good candidate for an Informatics position. So keep your fingers crossed for me! 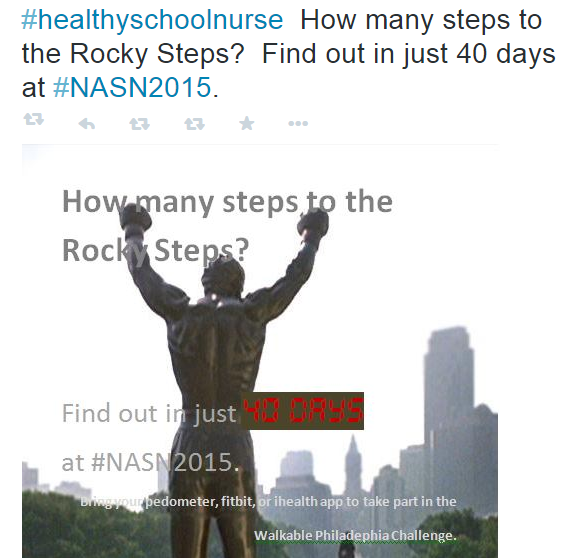 Stay tuned for all the posts from #NASN2015. Jessica Porter has some great activities in store for the NASN Twitter mentors.